There is nearly a 20% chance that you or someone close to you will suffer a concussion this year. Whether they are in a car accident, fall off their bike, or suffer a helmet-to-helmet hit at football practice, over 30% of such concussions will lead to long-term, potentially permanent disability. Even worse, many of these concussions are mild and go unnoticed and untreated. However, whether you are a concerned parent or an athlete worried about that recent or long-ago head injury, there is good news. The proper utilization of Omega-3 fatty acids and their nutritional potential to feed and cultivate the brain’s biochemical environment can facilitate the concussion healing process, relieve symptoms without pharmaceuticals, and increase the chance for a happy and healthy future. Culminating a career spanning over three decades in the U.S. Army, Dr. Michael Lewis developed The Omega-3 Protocol, the military-grade brain injury treatment process for dealing with the concussive dangers of everyday life. Concussions are not always preventable, but they are treatable. Find out how to give yourself or your loved one the best chance at recovery from brain injuries–large or small–by learning everything about, and becoming ready to apply, The Omega-3 Protocol today. Michael D. Lewis, MD, MPH, MBA, FACPM, FACN, is an expert on nutritional and nonpharmaceutical interventions for brain health, particularly the prevention, management, and rehabilitation of concussions and traumatic brain injury (TBI) and omega-3 fatty acids. In 2012 upon retiring as a Colonel after a distinguished 31 year career in the U.S. Army, he founded the nonprofit Brain Health Education and Research Institute. His pioneering work in the military and since has helped thousands of people around the world and regularly featured in the media, radio, podcasts, webinars, scientific conferences, and television including CNN’s Sanjay Gupta MD show. Dr. Lewis is a graduate of the U.S. Military Academy at West Point and Tulane University School of Medicine. Dr. Lewis is board-certified and a Fellow of the American College of Preventive Medicine and American College of Nutrition. He completed post-graduate training at Walter Reed Army Medical Center, Johns Hopkins University, and Walter Reed Army Institute of Research. Dr. Lewis is a consultant to the U.S. Army and Navy as well as several organizations and companies around the world, and a founding member of the Pop Warner Youth Football Medical Advisory Board. 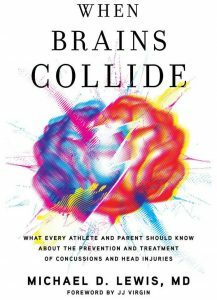 He is in private practice in Potomac, MD, and is the author of the recent Amazon #1 Hot Seller book, When Brains Collide: What every athlete and parent should know about the prevention and treatment of concussions and head injuries. That an ounce of prevention is worth several pounds of cure is especially true for the brain. As Dr. Michael Lewis points out in this seminal book, if you don’t have sufficient levels of omega-3 fatty acids in the brain, you are at great potential risk for future neurological problems. When such events do occur, especially with severe brain trauma, you will require very highdose interventions of omega-3 fatty acids to resolve the condition. When Brains Collide is an extremely valuable asset for anyone with a loved one whose life is being compromised by ongoing brain trauma. Michael Lewis has taken an understanding of the new evidence of omega-3s on brain cell structures, signalling, and for the resolution of inflammation to a new dimension of addressing serious brain trauma. If the brain is damaged—just like damage to any building or machine—you need the right materials for restoration. The difficulty with the brain is twofold: First, it takes a short time for serious damage to result in inflammation, brain cell death, and scarring with permanent disability. Secondly, we do not have the right building units to offer for repair. Michael’s approach of fast, instant treatment, and high dose levels of omega-3s is logical and evidence-based. Serious brain trauma cannot be dealt with by a randomised controlled trial. His approach, which has demonstrated some remarkable successes, needs serious consideration, especially when trauma can otherwise lead to grave disability. The recipe for a good medical read has three main ingredients: it must be based on science, include personal experience, and have a sprinkle of common sense. Neuroscientist Dr. Michael Lewis compiles his decades of research and healing testimonies into a brain-health plan that works. This book gives hope to readers, especially persons suffering a traumatic brain injury, as well as a plan for how to heal. The Omega-3 Protocol in this book puts to work the most important brain-healing medicine: omega-3 fats. Along with the thousands of medical journal articles proving the healing effects of omega-3s, Dr. Lewis’s protocol partners science with common sense. The brain is mostly comprised of fat. Yes, we are “fatheads.” Omega-3 fats are the most important building blocks of brain tissue. Therefore, it makes sense that omega-3s, in the healthful doses recommended in this book, help an injured brain to heal. In his book When Brains Collide, Dr. Michael Lewis provides a well-tested format on how to improve the way we address prevention and treatment of all forms of traumatic brain injury. The West Point grad and retired Army Colonel is a nationally recognized authority in the treatment of traumatic brain injuries and has developed The Omega-3 Protocol for dealing with the devastating effects, at times, of the postconcussion syndrome. His description of the neuro-protective, anti-inflammatory, and neuro-regenerative properties of essential fatty acids (fish oil!) provides the basis for fish oil being the number-one consumed supplement in the United States. This book is concise, complete, and filled with personal success stories that can be appreciated by all. I applaud Michael Lewis’s groundbreaking work. It is a lifesaver that has impacted my life both personally and professionally as The Sneaky Chef, and as a mom on a mission committed to children’s health. – Missy Chase Lapine, creator of the wildly successful Sneaky Chef series of books, including New York Times best seller The Sneaky Chef: Simple Strategies for Hiding Healthy Foods in Kids’ Favorite Meals. Dr. Lewis has revealed himself to be a great storyteller in relating a major contemporary issue of society. He clearly highlights the influence of traumatic brain injury (TBI) as going beyond the medical implications. We now know that TBI also impacts greater health-care issues and the well-being of patients through its potential long-term consequences, since it is the number-one environmental cause of dementias such as Alzheimer’s disease. Dr. Lewis touches upon how using omega-3 fatty acids, as part of therapeutic approaches to combat these conditions, can potentially offer breakthroughs in slowing down or reversing the consequences of TBI. This book builds upon the premise that there is a need for a better understanding of TBI so that new, effective therapeutic approaches can be developed to defeat this condition. The use of omega-3 fatty acids for treatment of brain injury and disorders is an emerging field now with innumerable published studies and medical science support. Dr. Mike Lewis has been an innovator in omega-3 use, and he details his experience and that of his patients in When Brains Collide. The stories and plight of his patients, as well as the journey of discovery of a new form of dietary supplement support for the brain at a time when there is no comparable pharmaceutical answer, are fascinating and should spur others to action. This book reflects the passion, energy, and dedication Dr. Michael Lewis has given to one of the most challenging questions in medicine: how to improve recovery after injury of the brain. This remains an area where there is a need for much progress and therapeutic innovation. Dr. Lewis explains the complexity of the events that follow a brain injury and highlights how the present management of this often life-changing condition is very limited even in developed countries. The book explores in depth the potential of omega-3 fatty acids, natural compounds whose remarkable properties have been much researched in the last decade. Dr. Lewis adopts a pragmatic approach and gives examples of several case histories from his own practice, which support the concept that omega-3 fatty acids have significant neuro-protective and neuro-regenerative potential. Through his Brain Health Education and Research Institute and the present book, Dr. Lewis shows an exemplary focus of purpose to change attitudes and accept nonconventional solutions that benefit patients, and thus he also offers a new perspective on the specific nutritional and metabolic support required after neurotrauma—a chapter yet to be written in modern medicine. Brain injury is often the first step leading to a delayed neurodegenerative process. The thoughts articulated in this book, on the importance of safe prophylaxis and also prompt intervention, whether in a civilian or military context, should encourage much reflection on a new way of approaching the management of brain injury in the twenty-first century. Finally, medical news everyone can use. Colonel Michael Lewis, MD, doctor to generals and policy makers, explains with personal stories and down-toearth language successes of omega-3 DHA in aiding recovery after traumatic brain injury. A notable book every brain should read. Dr. Michael Lewis is an omega-3 maverick. He clearly knows the potential benefits of fish oils in cases of traumatic brain injury, and reports them. If only the traditional medical community would just listen instead of saying no! Brain injury survivors, caregivers, and professionals will find in these pages an innovative, safe, affordable, and practical approach to “fighting the brain injury wars,” offering realistic hope against what are often intractable challenges. Twelve years after our teenage son suffered a severe brain injury in a car accident, we discovered Dr. Lewis’s Omega-3 Protocol. Bart made dramatic gains in short-term memory, executive function, and fine motor control. After more than a decade’s hiatus, once again he is right-side dominant—eating, writing, even playing guitar as a righty. There is practically no precedent for such recovery so long postinjury. Our family remains astounded, delighted, and ever so grateful to Dr. Lewis. – Stuart Tomc, VP of Human Nutrition, CV Sciences, Inc.
Dr. Lewis provides a uniquely compelling argument for omega-3 supplementation, particularly in high doses for those who are suffering from traumatic brain injury. Importantly, this book inspires a call to action for transformative, efficacious therapeutic interventions to address the national concussion epidemic. Dr. Lewis has written a compelling book, giving new hope to those who suffer the lingering effects of traumatic brain injury (TBI) and their loved ones. When Brains Collide skillfully combines the latest scientific research with interesting stories of those living with TBI and their experiences applying The Omega-3 Protocol for concussion. – Steve Dubin, Principal, SDA Ventures LLC; Former CEO, Martek Biosciences, Inc. Prior to my son Grant’s accident, I had no idea how common traumatic brain injuries (TBIs) were. I also had no idea how much can be done for them. Now that I know both of these things, I am determined to be part of the solution and to help support those who are out on the front lines making a difference. Dr. Michael Lewis is one of our big heroes in brain injury research and one of the reasons Grant is thriving today. I hope you will share this book and his fantastic blog with everyone you know. We are all touched by TBIs, and there is so much that we can do. There are so many lives and brains that can be saved by this information. Our son Bobby was in a very serious car accident that left him with a traumatic brain injury and in coma for more than two months. Doctors gave us no hope of his staying alive, let alone coming out of his coma. When we heard about omega-3s and Dr. Lewis’s research, we decided to take on the hospital and the doctors to allow our son to have the omega-3s ASAP. It was a very difficult battle, but they finally agreed. We strongly believe that it was the omega-3s that accelerated his recovery and shortened all our suffering. Bobby is still taking high doses of fish oil and is a strong advocate for the omega-3s that help his depression and anxiety. He has improved from two years of wheelchair and two years of walker to now using only a cane. We are grateful that Dr. Mike Lewis has supported us from Bobby’s first days in the hospital six years ago and still to this day. That is the kind of doctor he is. He has been available to us any day or night or weekend. He is family to us because he cares deeply for us and loves Bobby as much as we love him. I have been fortunate to work with Dr. Lewis and some of his patients, including Bobby, to see firsthand how high-dose fish oil can be life changing. Even with my own son, I have found comfort in knowing that he can take fish oil preventively during football season to help nourish and protect his brain. Dr. Lewis has helped bring important awareness to brain health and sport concussion that is invaluable and ahead of its time! – Keri Marshall, ND; Director, Global Lipid Science and Advocacy, Royal DSM N.V.; Former Chief Medical Officer, Nordic Naturals, Inc.
Dr. Lewis is a pioneer in the treatment and management of brain injuries with diet and lifestyle. He is a unique example of taking cutting-edge basic and animal research and translating it into clinical practice under the most dire circumstances. I was first introduced to his work when trying to help our soldiers manage the trauma of combat, and I have only grown to respect him more since. He has taken the theory of saturating the brain with the nutrients it is comprised of in response to injuries to real-life settings and has seen some stunning success stories. As more clinical science develops in this area, I know Michael will be integral in guiding its practical use. Mike Lewis is a founding member of the Pop Warner Medical Advisory Committee, helping to keep us at the forefront of player health and safety. Consisting of approximately 325,000 young people ranging from ages five to sixteen years old, Pop Warner is the largest youth football, cheer, and dance program in the world. 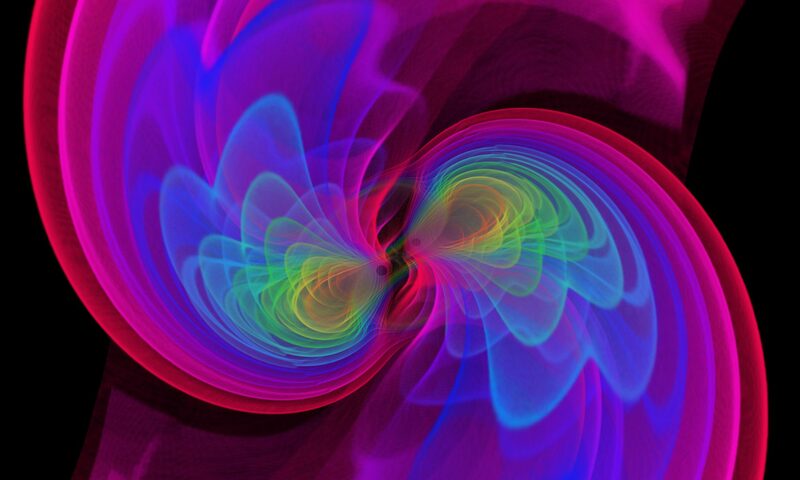 When Brains Collide is just one example of the knowledge and experience Dr. Lewis lends to us. We deeply value his input, feedback, and generosity with his time and efforts on behalf of all the young scholar-athletes in Pop Warner Football and Cheer. Dr. Mike Lewis is one of the thought-leading experts in our country on concussions and traumatic brain injuries (TBIs). We have recommended his approach and the importance of omega-3s/fish oil for many years in our integrative pharmacy, Village Green Apothecary. His protocol has made tremendous positive impacts in the speed of recovery for our clients. The impact of concussions and TBIs is at an all-time high. If you, a family member, or a friend has been impacted by a concussion or a TBI, you should start by reading Dr. Lewis’s book—this is game-changing information! Dr. Mike Lewis makes a very strong case that omega-3 fatty acids found in the marine environment have great potential for protecting the brain from life-altering outcomes due to traumatic brain injury, and for aiding in its healing after such an injury. The preclinical (basic science) evidence is strong in this regard, and more research in which omega-3s are investigated in humans for improving clinical outcomes is clearly warranted. My own research has not been in the field of omega-3 fatty acid protective benefits prior to or after a traumatic brain injury. However, I have shown that these fatty acids modulate aspirin’s effects on platelet function and inflammation in humans. Since they are safe, inexpensive, and without concerning interactions with drugs, their use should be more widespread, particularly in those whose information is studied carefully after a traumatic brain injury. The brain is a very malleable organ, and let’s take advantage of this! I extend my deep gratitude to Dr. Lewis and others working so hard to get this important information out to the millions of people it can help. Considering how common traumatic brain injuries (TBIs) are, there’s a very good chance that one day you or someone close to you will be touched by TBI. Please read this important book and share it with others. The life you save may be your own.